Quantum Physics is beginning to replace the mechanistic world view of Newtonian Physics and is teaching us with every new discovery that we are intimately interconnected with our environment and everything in it. This includes the understanding that we can change what is outside of us by simply changing ourselves. 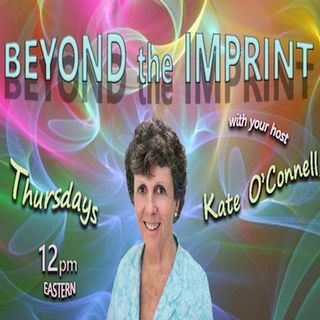 ... See More Beyond the Imprint will have far-reaching and wide-ranging impact on how listeners think about the human experience including our thoughts, feelings, and behaviors in response to our environment. It provides a new framework for understanding everything we experience from birth to death; bringing sanity to insanity and clarity to what confounds us. In addition to teachers, counselors, therapists, parents, administrators, and social workers; this show will have tremendous relevance for anyone and everyone interested in having a healthier and gentler experience with themself and those whom they are in relationship with. Begin your journey towards greater health, harmony, well-being and satisfaction!